You may want to hide your credit card before you click through this particular slideshow. 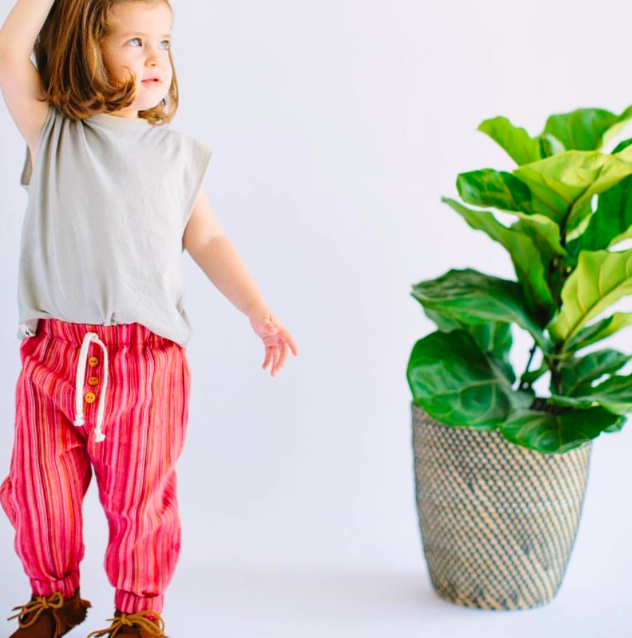 We’ve rounded up the cutest kids’ clothing lines on the internet (many of which also have brick-and-mortar stores) and displayed them for your fall shopping/Pinterest-ing pleasure. Some of these children’s brands may be familiar, but there are plenty of new favorites in the mix. When it comes to kids’ outfits, it’s easy to feel like there are too many options out there. 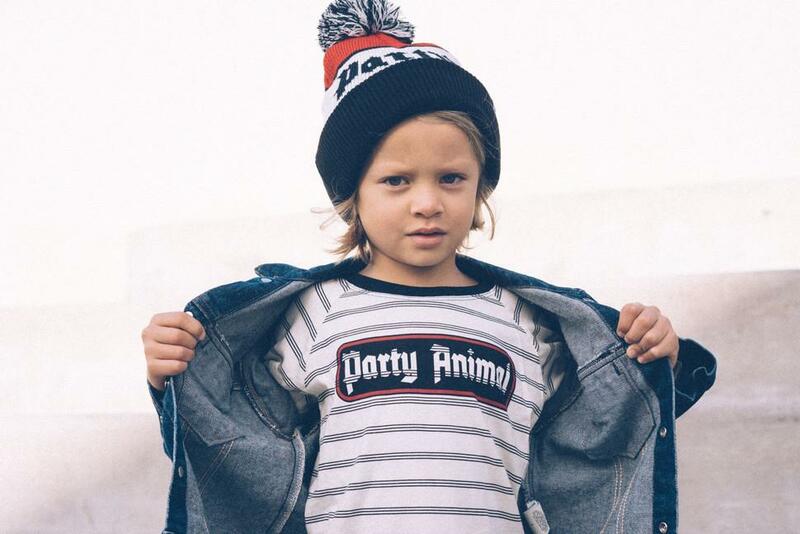 But these 17 children’s clothing lines are straight-up fashion goals. Why grab a pack of plain Carter’s duds when your babe can wear a gorgeous llama coat or a lightning bolt romper? That’s the question you’ll ask yourself after you see these adorable options. Ahead, check out our top picks for your favorite pint-size people. 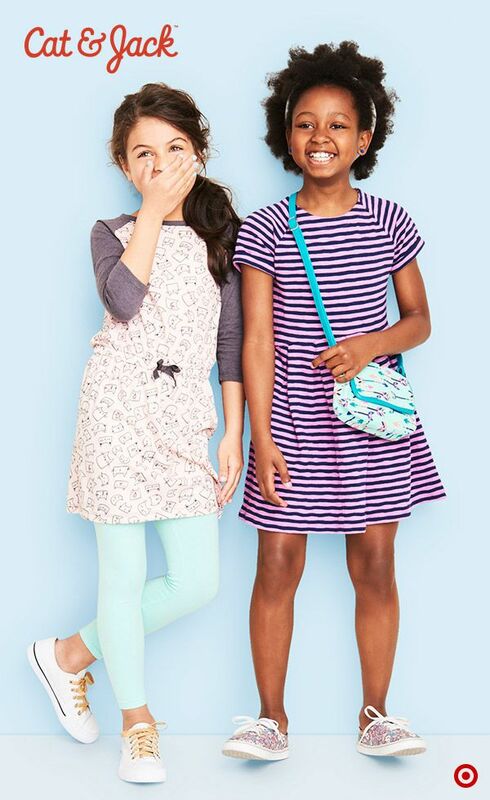 Whether you prefer classic styles or modern looks, you’re bound to find something you and your littles will love. 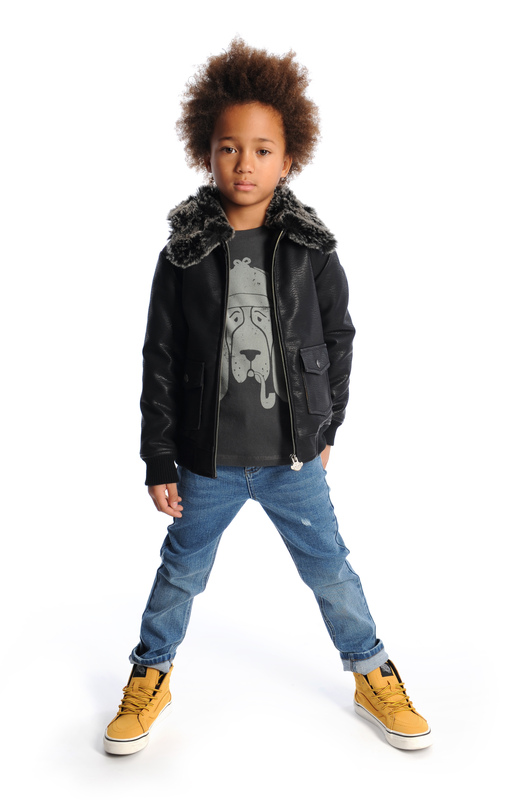 A sophisticated boho take on children’s wear, Chaboukie features quality fabrics and comfy, unisex designs. The casual Australian brand has colorful, cool basics at great prices. Shop Cotton On for cute characters like Miffy, fun accessories and room decor too. Luxe fabrics and bold prints are the backbones of this ultra-modern LA line. 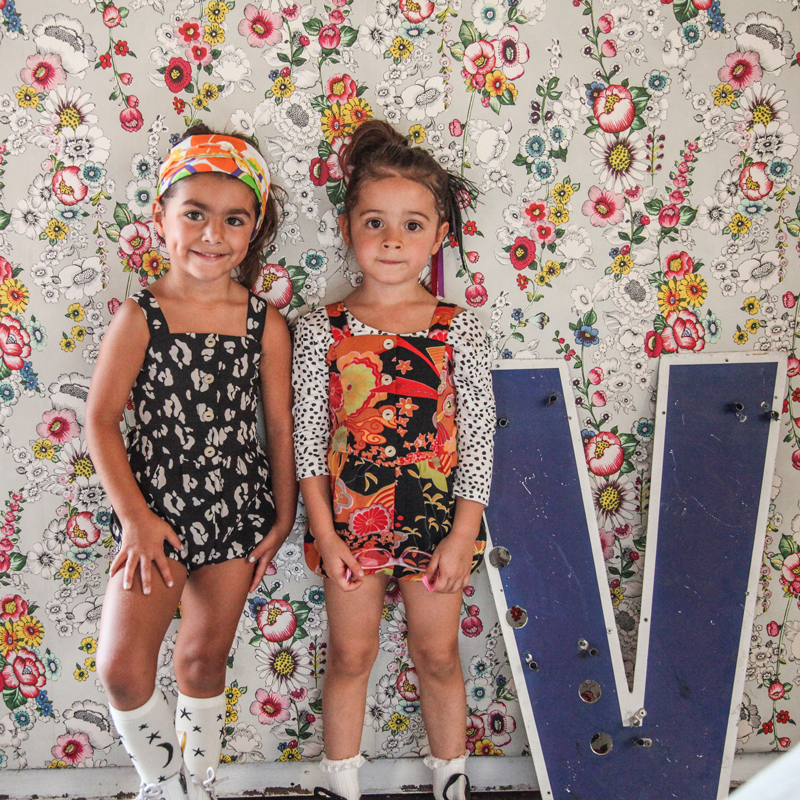 Ultra Violet Kids creates pieces that are sure to stand out. Visit the brand’s website (or brick-and-mortar store) for turbans, mommy-and-me outfits and other vibrant finds. If you long to dress your infant in black, skull-print clothes, Nununu is for you. Modern looks heavy on the black and white dominate this hip baby and kids’ brand. Slick brand Appaman puts a Scandinavian twist on the latest trends. Take a look at the brand’s hip down puffer coats, faux-fur coats, mod suits and more. Minimalist rompers and super-soft cotton make a winning combination. Black i Boys makes shopping simple. Choose a patch then a tank or romper. 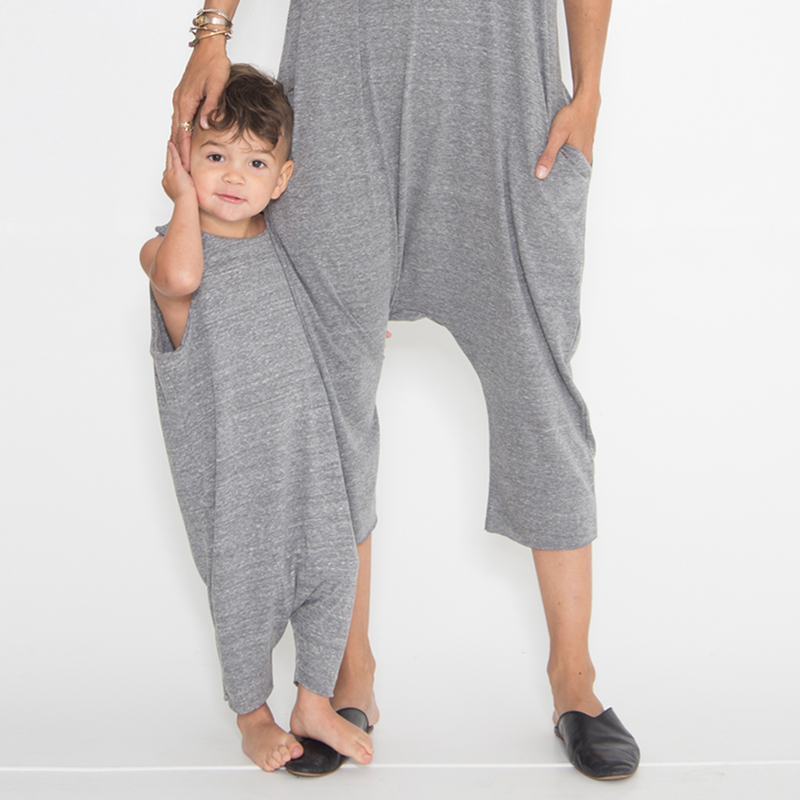 They also have matching mom rompers to make your #MotherBoy dreams come true. This LA-based boutique line is affordable and oh so fun. 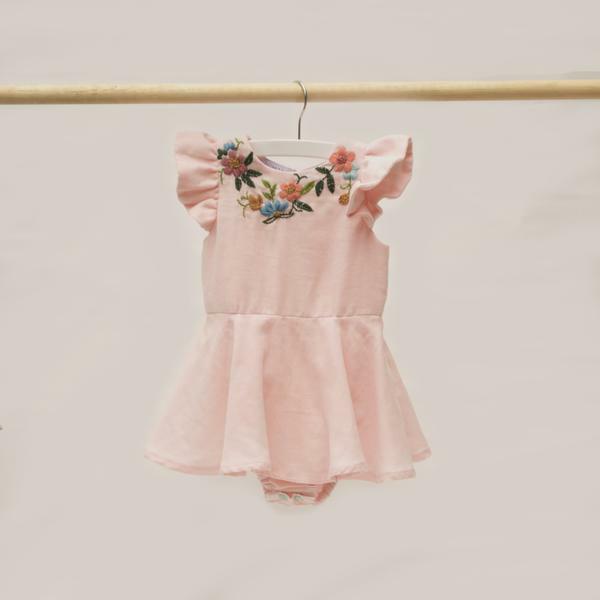 Check out Kumquat’s signature play dresses, overall rompers and kimono-style pajamas. Pops of color and modern cuts make this a fashion-forward yet whimsical brand. Check out Hugo Loves Tiki’s magical gummy bears, unicorns and gelato prints. 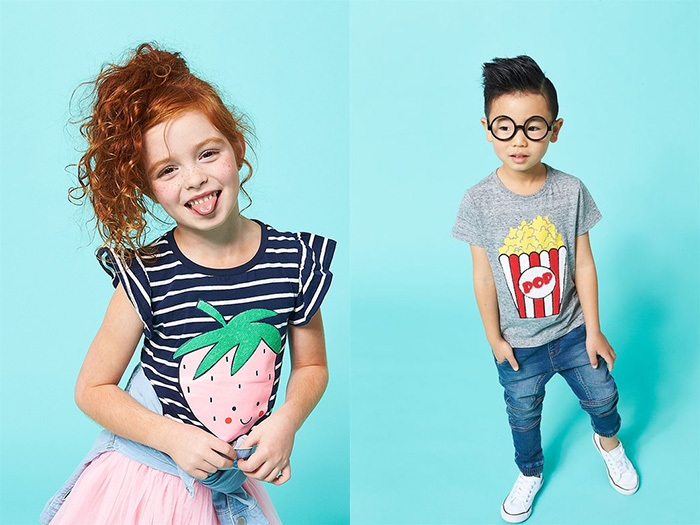 Target’s coolest kids’ line is popular for a reason. 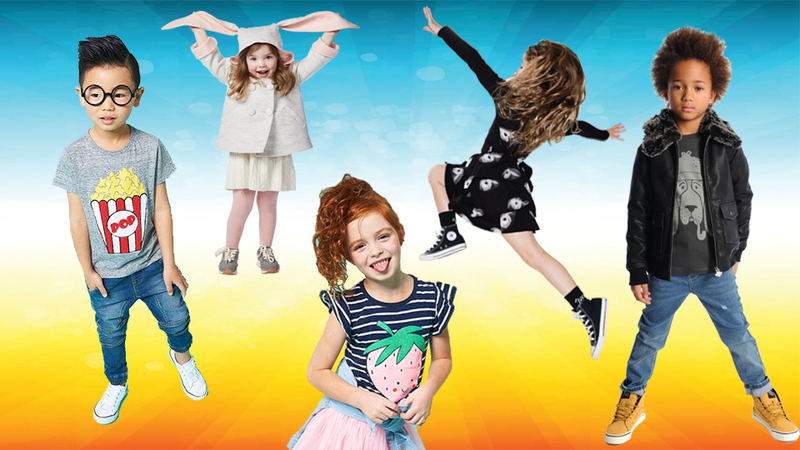 Cat & Jack offers affordable play and school clothes with whimsical designs. Plus, items are guaranteed for one year with receipt. 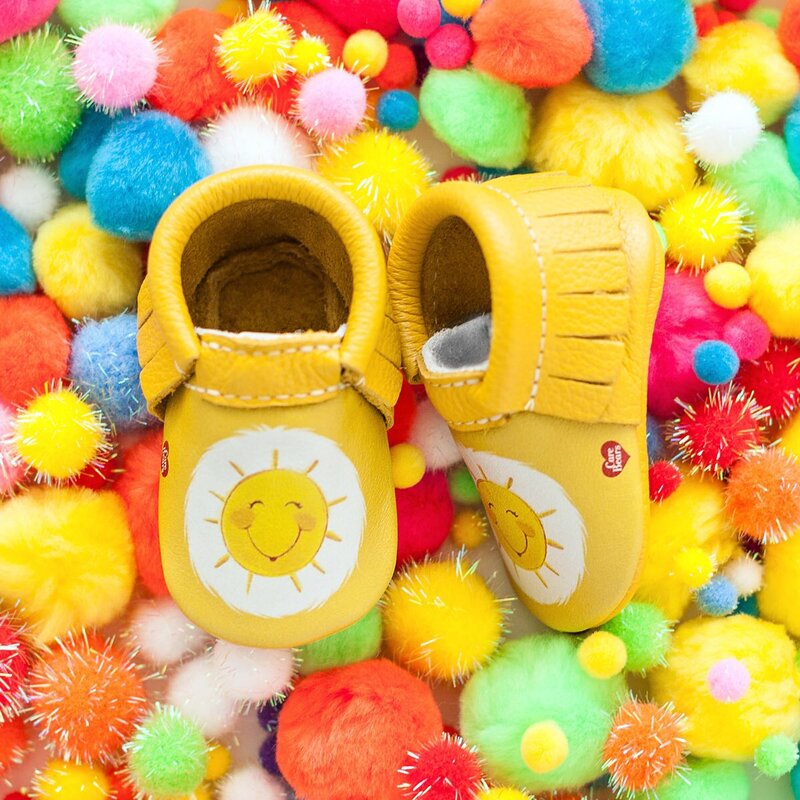 Popular baby moccasin company Freshly Picked has the cutest shoes, but their adorable new Care Bears line (also available at Land of Nod) takes the cake. Whimsical, vintage-inspired Fawn Baby will charm you with adorable pieces like this velvet pom-pom jacket. Cute accessories — think charm necklaces and crowns — are also available. Spanish fashion staple Zara is always a winner. Zara Kids sells sought-after styles for reasonable prices. Their fashion-forward shoes are especially awesome. 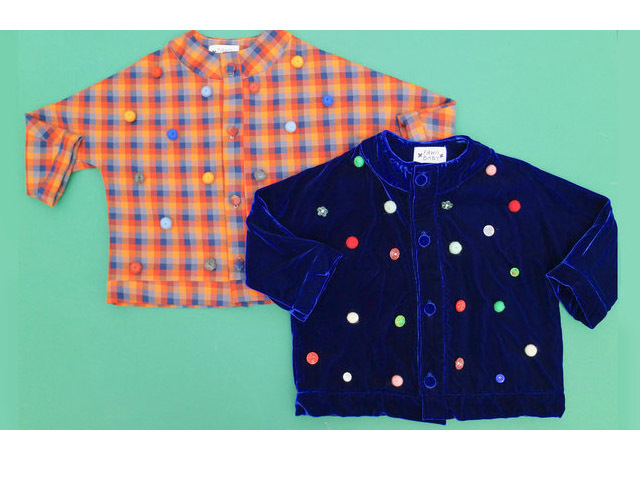 Creative, quality kids’ clothes abound at Little Goodall. But their outerwear is what’s truly amazing. From the llama to the matryoshka to the bunny, each coat is cuter than the next. Hey Babe! is pure, hip fun. 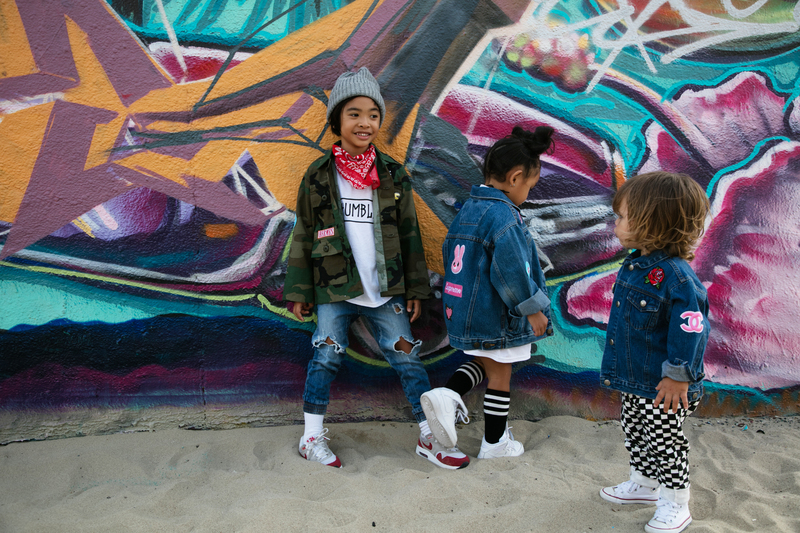 Take your pick from patch-embellished jean jackets for kids — and then choose an adult-size one for yourself, of course. This line is just pure sweetness. Holley + Sage’s embroidered dresses and rompers (as well as their collaboration with Rifle Paper Co.) will win your heart. Cool tees and sassy slogans are what Tiny Whales does best. Pom-pom beanie that says “Permanent vacation”? Check. “Party animal” sweats? Yup, they have those. We’ll take them all, please.